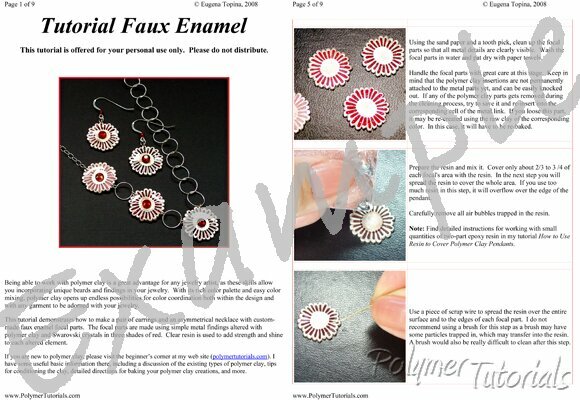 This polymer clay and resin tutorial explains a very simple yet beautiful technique that allows combining polymer clay, resin, and commercially available metal parts to obtain colorful focal parts that look like high-quality enamel. The first two pictures on this page show the project described in this tutorial, and the last two pictures show variations of this technique. Place a mouse over the small pictures to see them enlarged. Thanks, I learned a lot! Laurie (Oregon, USA) ..